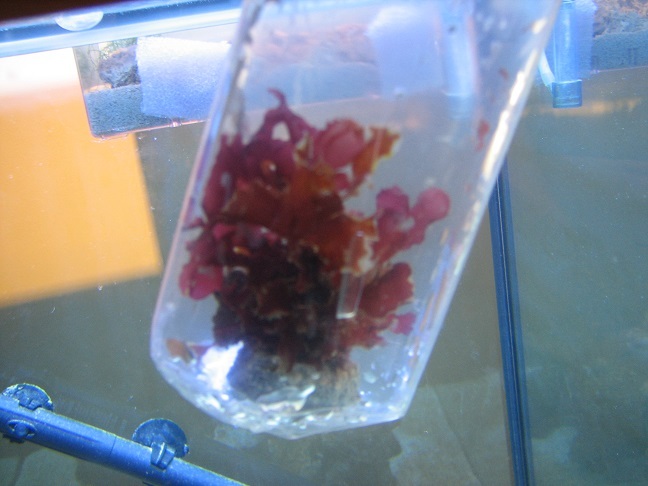 Products: Mostly marine macro algae, also some marine foods and snails. This was my first experience with GCE and certainly won’t be my last! My prime concern with dealing with aquatics is the knowledge and availability of their staff/owners. I wanted to make sure the algae I’d chosen would thrive in my system (big difference between ‘thriving’ and ‘surviving’) so I contacted their sales email. Russ contacted me personally and promptly with answers to my questions. He was also able to work with me to get the cotton candy algae, which showed as out of stock but he was able to wrangle up a bit for me anyway! So in knowledge and prompt replies they are stellar. It’s difficult to get macros in my area so I was left with little choice but to order them online and when you order from a company online, you really never know what will show up in the mail. Turns out, I had nothing to fret about! 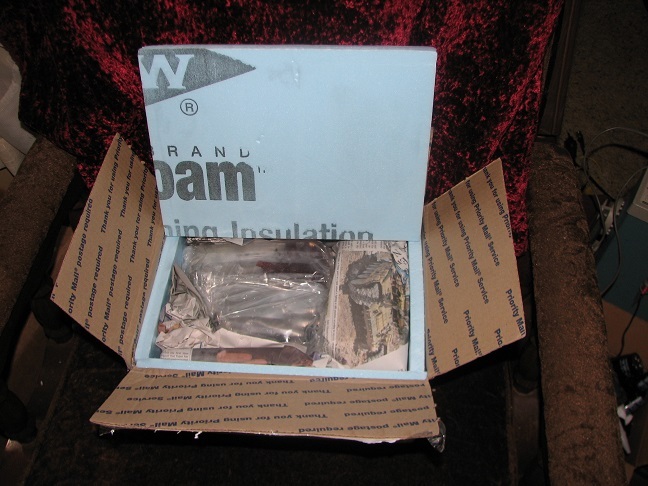 Shipping was fast (2 days), the box was sturdy and well insulated as you can see from the above photo. 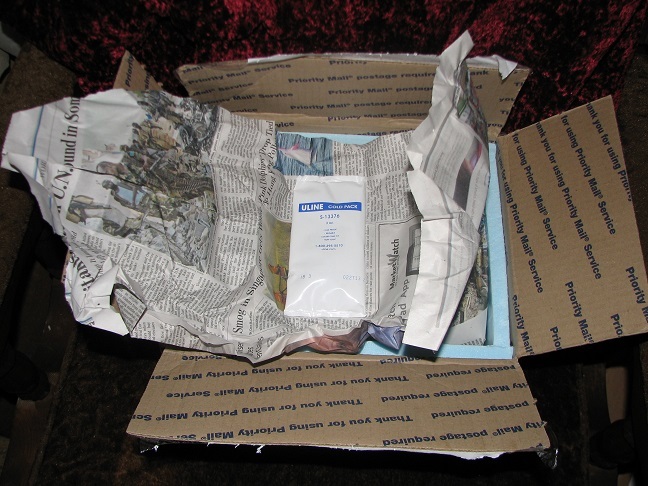 I also appreciated how they wrapped the cooling packs in newspaper as you can see below. I’m sure we’ve all had incidences when we’ve had to apply cold packs to our body parts right? Know how it hurts when you apply the cold pack directly to your skin instead of wrapped in a towel? Yeah, same thing happens to plants and animals. 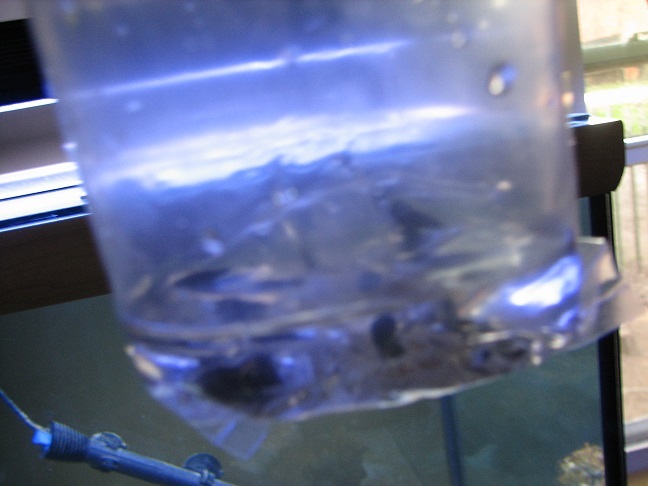 GCE realizes this and buffered the algae and snails from direct cold. Score! I was impressed at this point, but still leery of what the algae and snails would be like. Unwrapping further I was delighted to find ample, healthy bags of algae! That’s right. None of those little twiggy macros people try to pawn off on Ebay. Nope. The bags were packed full and the plants were actually grown, not clippings! Each bag, btw, was double bagged to prevent leakage. Another score in customer care for GCE! The first thing I looked at were the Pods because I’d read so many bad reviews of customers from OTHER stores receiving pods that weren’t the same as pictured and that their pods were either past their ‘use by’ date or nearly so (they only have a 4 week shelf life). 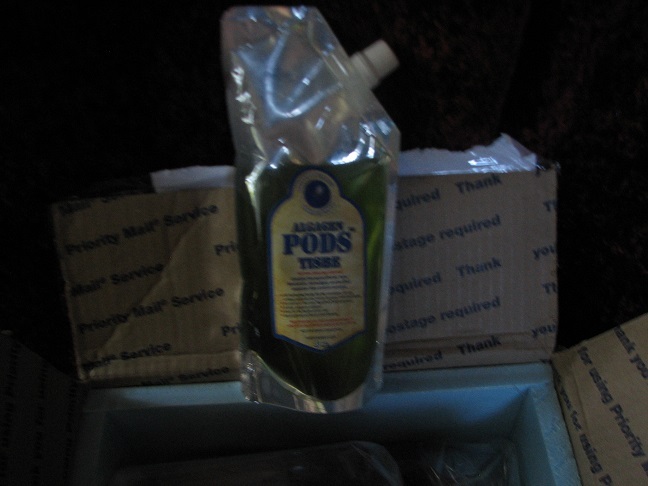 The pods GCE sent were exactly as they pictured on their website. 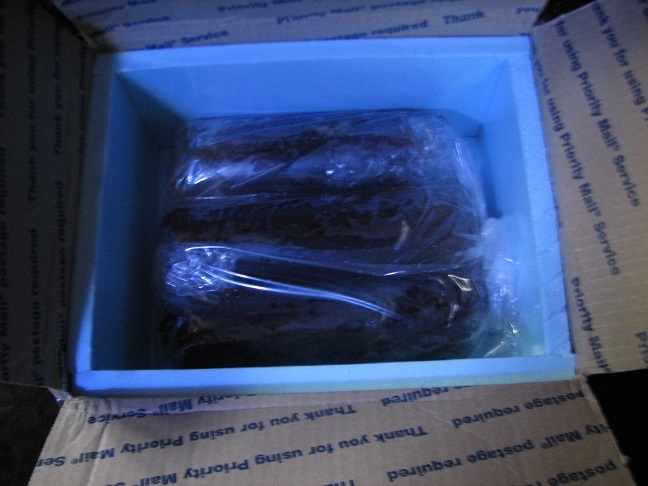 Pack date was the same as the ship date – so they were fresh! A nice clump of algae in there too to keep the pods happy. Now on to the algae! This is a lovely, deep red Cryptonemia – nice sized, as you can see and attached to a plug for easy weighting and placing. Overall it was healthy with just a tiny bit of leaf edges that were rather worse for wear. That was easy to fix with a bit of trimming. 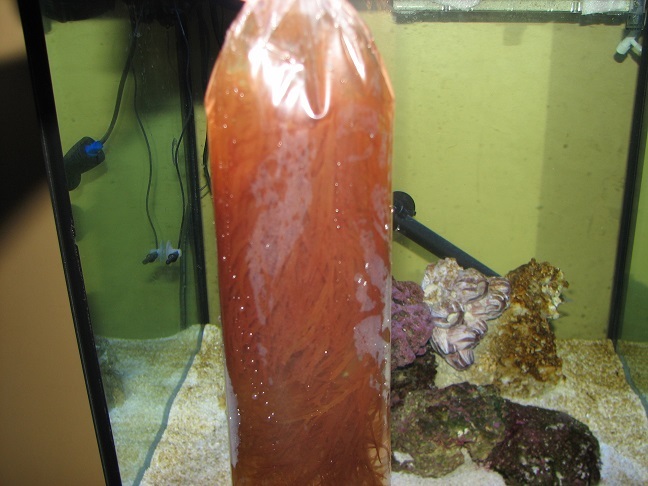 This is a bag stuffed full of one of my favorite macros, Gracilaria Hayi – when this algae is released – it is simply beautiful! Completely healthy in one large portion and one medium portion. 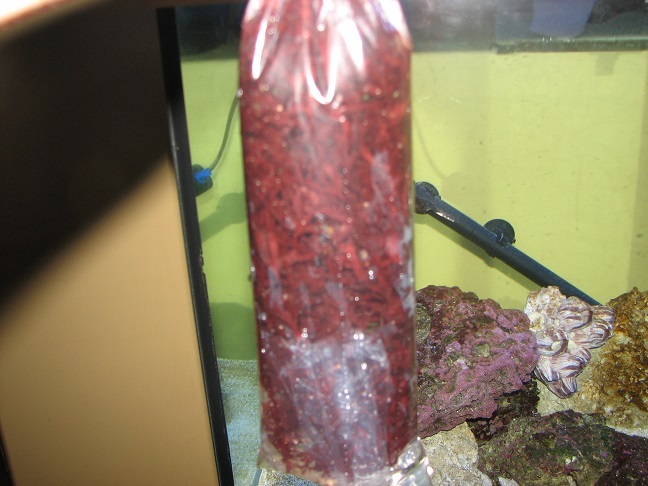 This is another full bag of Gracilaria sp. it’s looking to be parvispora if my ID skills are up to par (and not saying they are!). Again, one large portion and one medium – both healthy, requiring no trimming. This is Hetereosiphona gibessii aka cotton candy algae. He was out of most of it, so this was one good sized portion. Really love the soft feel this brings to the reef tank. It gives a fluffy feel to the backdrop of sand and rough live rock. Mostly healthy, requiring just light trimming. These are the dwarf Cerith snails – awesome little guys! GCE packed quite a few more than I ordered which is fantastic! Thanks GCE! I was able to stock my 30g and 5g with Ceriths 🙂 They were all alive, well and currently oozing about the tanks. 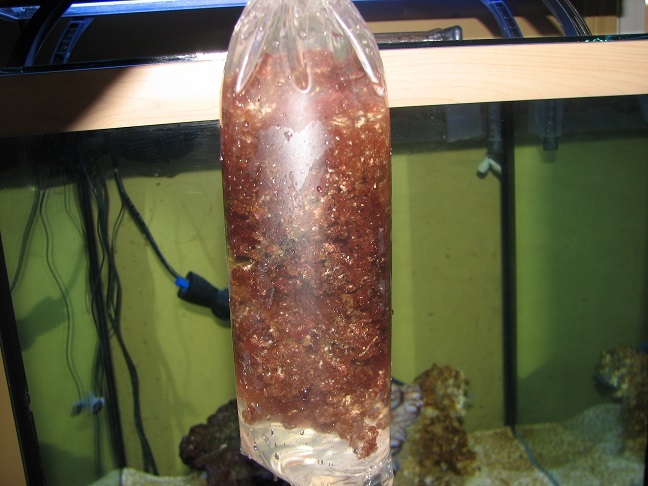 On top of all this spiffy stuff, Russ also has a site dedicated to macros and their culture called Marine Plants in the Aquarium that gives information that is lacking in much of the marine world about these wonderful additions to our salty tanks.